Gentle Handling of Aluminum Product on LEWCO Conveyor - LEWCO Inc.
A manufacturer of high-end aluminum door panels recently contacted LEWCO to supply a challenging lift transfer. The new equipment needed to be integrated with existing equipment and allow for future expansion. Care and protection of the finished aluminum part surface was a requirement. 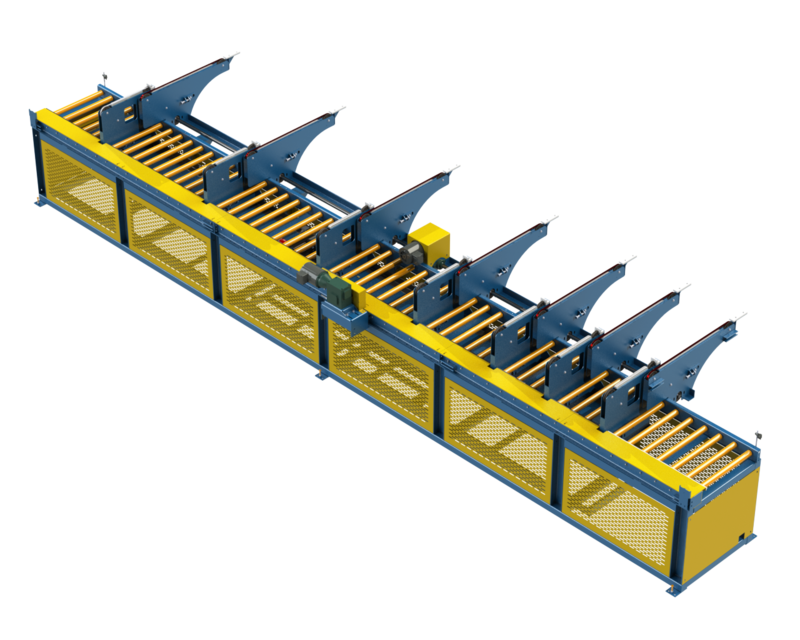 In this process aluminum extrusions are received from cutting equipment at 90-120 FPM, then raised and transferred sideways onto a multi-belt accumulation conveyor, and indexed off as needed for production. The extended lift is needed to cross over existing in-plant process equipment. LEWCO supplied full controls for this project, including PLC programming, and tested the conveyors in-house with customer-supplied product.